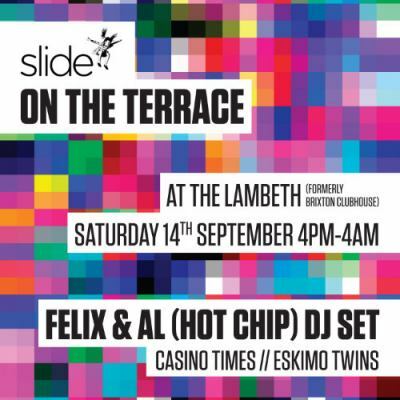 My set from Saturday, 14 September 2013, hot off the recorder, captured live between 3am and 4am (well, technically that's 15 Sept then) for the closing set at Slide On The Terrace at The Prince Of Wales in Brixton, London (formerly The Lambeth, formerly Brixton Clubhouse, formerly Dex, formerly The Prince Of Wales, yeah, we know) where Simple hosted the club room. Expect some darker stuff in this. Tech House and Techno bits, with long mixes thanks to superb looping precision from Pioneer's rekordbox on the CDJ-2000s, to which I'm now effectively wedded! Hit me up for tips. Still, I haven't forgotten my vinyl roots. I pulled out a couple of my personal classics from storage, ripped fresh for the occasion; see if you can spot them. One is a little known record which I've cherished for almost 10 years and I've only just learned, via a reliable informant (Discogs.com), it's by Paul Woolford under one of his innumerable aliases. However, as luck would have it, I think I'll double-check with him in March 2014 when he joins us for Simple, perhaps under his Special Request guise? Please enjoy! I certainly did! And so it seemed did the crowd who stayed till 4am, some who'd been partying since 4pm! Big love to Simple and Slide family.